A lighter than air private pilot certificate meets the regulations to become a certifiable drone operator in less time and at a lower cost. I have been speaking with many drone operators exploring learning to fly hot air balloons to meet the requirements for commercial drone operations. Initially many people are put off by the requirements of earning a pilot certificate and do not understand the reasons or the value of the training. The value in receiving pilot training not matter the form is to learn and understand the Federation Aviation Regulations including proper use of the national airspace to enhance the safety for the general public and aircraft sharing the same airspace with drones. Training benefits all involved who sharing the airspace and enjoying a safe flying environment. In the past few years there has been a significant increase in the number of people flying drones for both personal and commercial applications which has created new challenges for keeping the airspace safe for all to use and enjoy.. Improved technology and lower entry costs to purchase drones makes them extremely accessible and affordable which has increased unsafe drone operations in general aviation resulting in requiring commercial drone operators to become certified pilots. 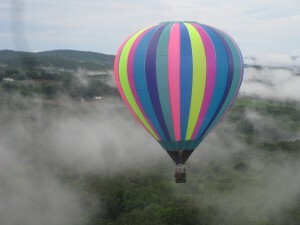 Hot Air Balloon flight instruction covers all the required knowledge areas and test preparations. Below are several areas specific to drone applications that you will learn when taking flight instruction to improve your flight operations and knowledge. c) Recognition of weather conditions and use of weather /forecasts and reports. Hot Air Ballooning is one of the most enjoyable forms of flight and one that can be shared with family and friends unlike other any other form of flight. Hot Air Ballooning is an affordable and enjoyable activity that you might not have ever considered but pursing commercial drone flying may have just introduced you to your next great flying adventure to enjoy for many years to come! Please call or e-mail for more information on learning to fly hot air balloon and we will help make your commercial drone flying dreams come true with qualified flight instruction to make your drone flying operations safe and profitable. Schedule a time and come out to CT01 Whelan Farms Airport in Bethlehem to expereince the magic of flight!